It’s not every day you get to look forward to a game featuring the work of, among others, Half-Life 2 legend Viktor Antonov. 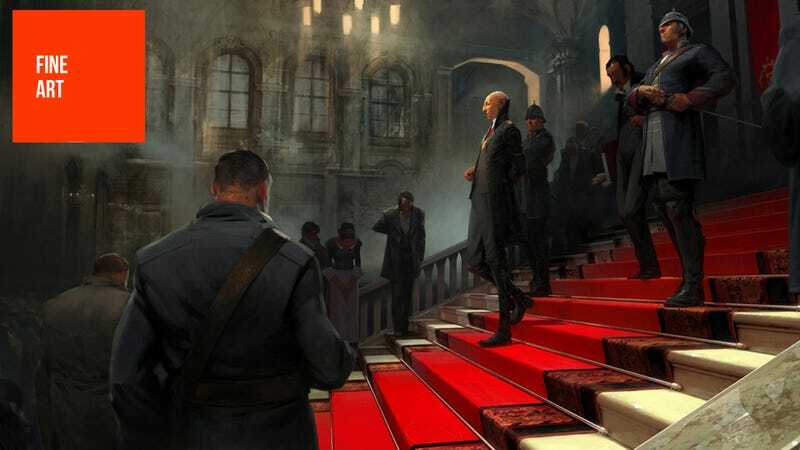 Developed by Arkane and published by Bethesda, Dishonored will be out on PC, 360 and PS3 in October. To see the larger pics in all their glory (or so you can save them as wallpaper), right-click on them below and select “open in new tab”. Fine Art is a celebration of the work of video game artists, showcasing the best of both their professional and personal portfolios. If you’re in the business and have some concept, environment or character art you’d like to share, drop us a line!